"Be quiet and calm my countrymen, for what is taking place now is what you came here to do. We are all going to die, and that is what we came for. Brothers, we are drilling the death drill. I, a Zulu, say here and now that you are all my brothers... Xhosas, Swazis, Pondos, Basotho and all others, let us die like warriors. We are the sons of Africa. Raise your war cries my brothers, for though they made us leave our assegais back in the kraals, our voices are left with our bodies..."
On January 16th 1917, the SS Mendi, a 4,000 ton steam driven troopship, set sail from Cape Town. Her destination, La Havre France, and World War I. Her Cargo, a motley crew including 824 Army personnel, 803 of which were soldiers from the 5th Battalion - South African Native Labour Corps (SANLC). A number of men, from different backgrounds, social status, and origin. Mendi made two stops, in Lagos, where a naval gun was mounted on her stern, and again in Plymouth, before heading up the English Channel under guard from the HMS Destroyer - Brisk. Just before sunrise, on the 21st February 1917, off the Isle of Wright, she was rammed in thick fog, by the 10 000 ton cargo ship �Darro�, breaching her forward hold. She took only 20 minutes to sink. Despite rescue efforts by HMS Brisk, 646 people lost their lives, 607 of which were South African troops. Darro's Master, Henry Stump, was eventually found guilty of causing the accident, by travelling too fast in the thick fog, and failing to emit the necessary fog whistle signals. At the time, the Darro also chose, not to make any attempt at all, to rescue survivors of the Mendi. His retribution? His Skippers License was suspended for one year. I wondered as I read this, what sort of commotion that might have caused in 2016. Oral history records that the men met their fate with great dignity, and that they were inspired by the words of the Reverend Wauchope which he spoke as the ship sank. They sang and stamped the death dance together, realizing their fate. The reality was likely, somewhat different. Many of the men had never seen the sea before Mendi. A large number of men died on impact. And those who had life jackets succumbed to hypothermia. It was mid-winter, and it must have been absolutely terrifying for the men on board, who died as brothers, irrespective of race and rank. 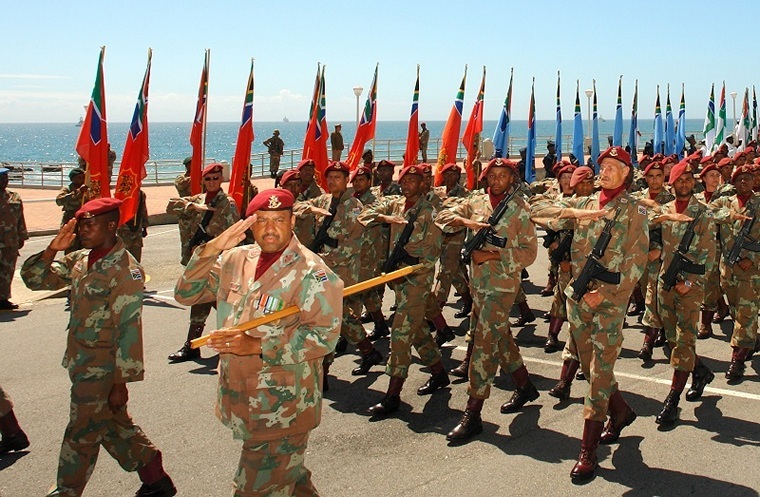 2016 marks the 99th commemoration of this loss, and the 4th South African Armed Forces Day. 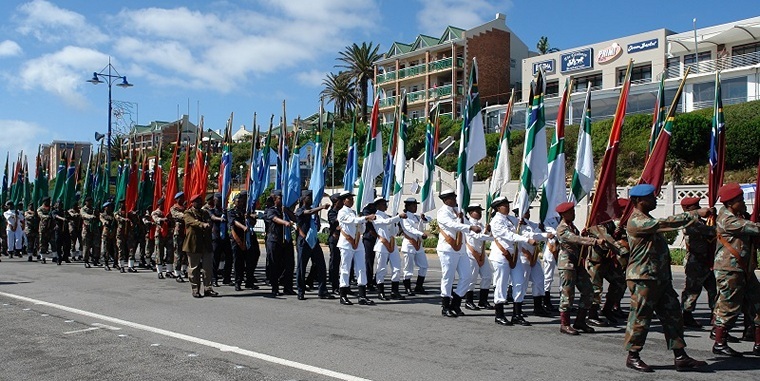 In 2013, the Human Resources Directorate of the SANDF, incorporating the force's ceremonial section, hosted the first official Armed Forces Day parade in Atteridgeville at the SS Mendi memorial. In 2014 the Army played host in Bloemfontein. And in 2015 it was the turn of the Air Force to host the events in Potchefstroom. �	To unite all South Africans behind our military. 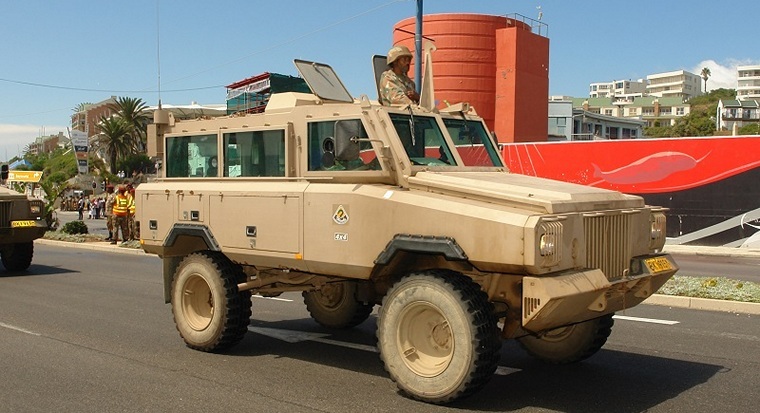 �	To allow the SANDF to interact with communities. �	To expand public understanding of the military's role and its purpose to society. 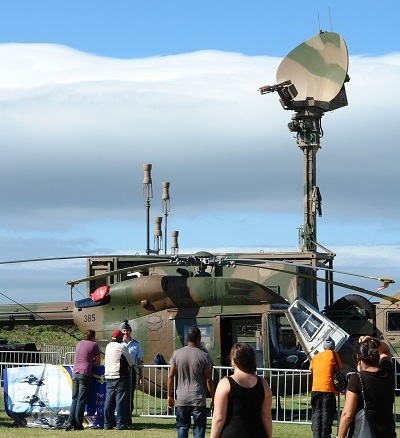 �	To showcase the latest military equipment and technologies used to protect the public. �	To demonstrate the military combat readiness against threats and as well as to support government during peace time. 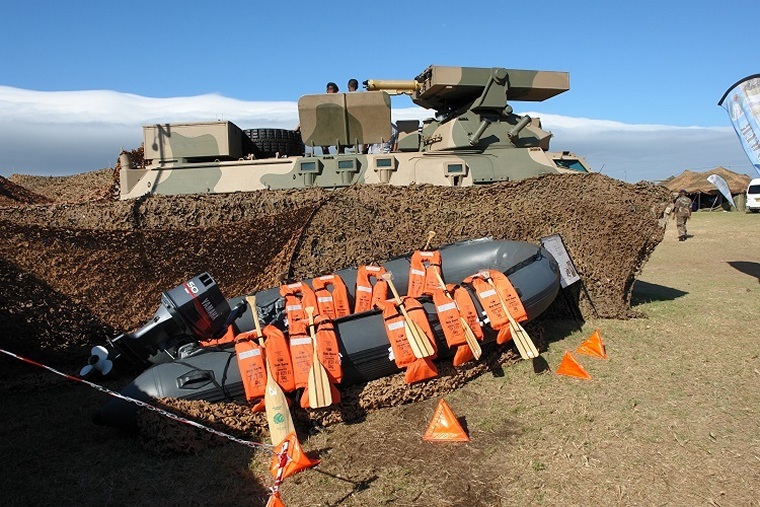 In previous years the SA Navy could not participate actively, for obvious reasons. The Navy wanted a venue from where their ships would be clearly visible from land. Two cities met these criteria, Cape Town and Port Elizabeth. 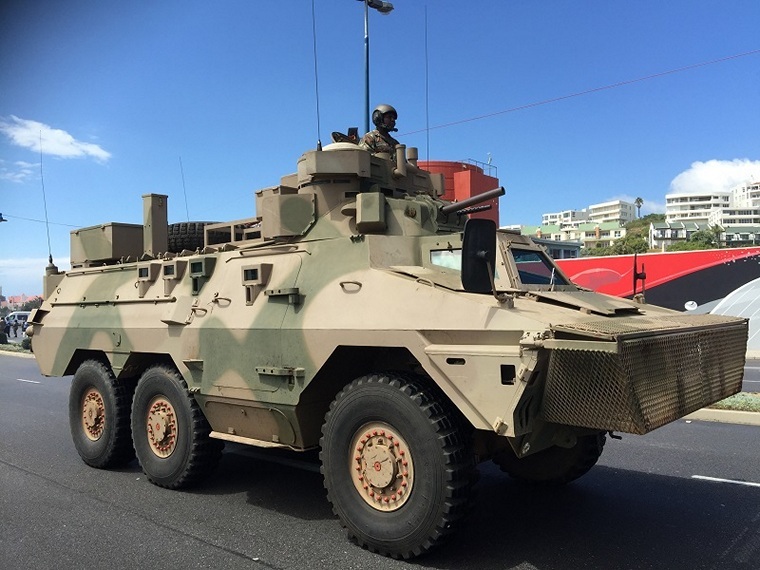 Because Cape Town already has an active military presence, Chief of the SANDF General Shoke, decided it would be held in Nelson Mandela Bay, also affectionately known as �die Baai�. 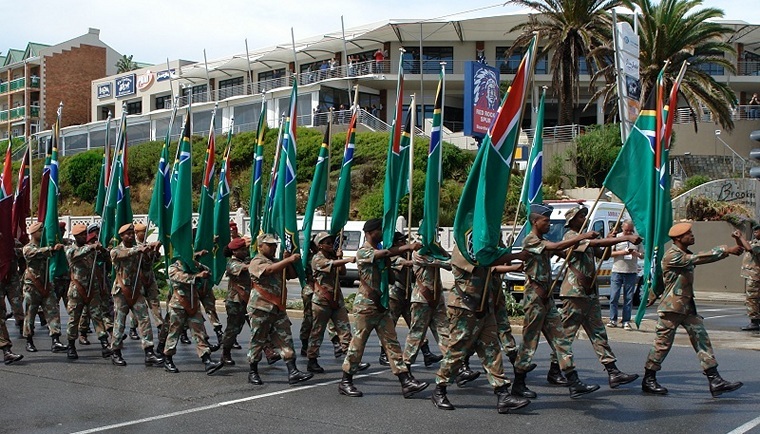 South African Armed Forces day is the 21st February, but it is more of a two week event which takes a month of logistics, and more than a year to plan. Approximately 4,500 military personnel were needed, majority of which were accommodated in tent towns, situated in Forrest Hill and Humewood. These habitations were served by the SANDF Catering Corps. Local retailers did a good trade, and it wasn't unusual to queue with uniformed soldiers during the week. Over 150 combat vehicles, 25 aircraft, and 6 naval vessels played an active role in the events, which were classified into 3 categories: Static events, Community events and live events. 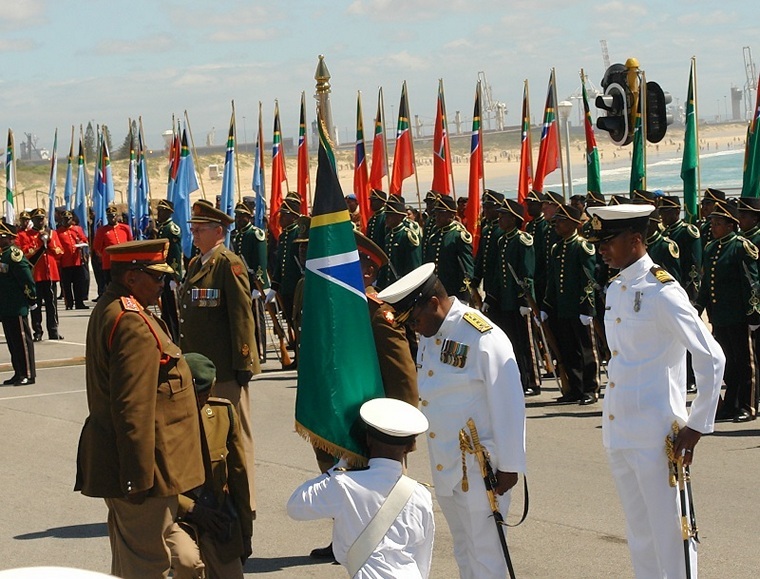 Armed Forces Day 2016 comes at a turbulent time in South African history. Internet and social media has transformed our world into a place where we share in the daily trials and tribulations of the world. And in South Africa it's no different. Anger and frustration with the leadership of our country, economic crisis, violence and social upheaval are ever present in our minds. Political posturing has reached unprecedented levels, and we are in an �election year�. I have always associated the military with the Government of the day. Funded by them, and driven by their agendas. But what do I know? 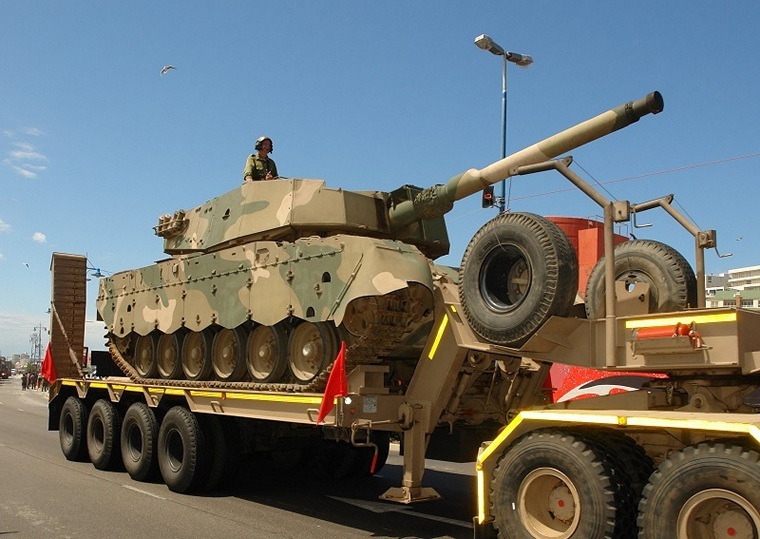 I know that South Africa has a long, impressive and prestigious Military History. And know that our history has damaged a lot of people in our country, of all races. Nowadays the mandate of the SANDF is to defend against aggression, promote security and support the people of South Africa. There is general consensus that we are highly unlikely to be involved in a conventional war any time soon. The question is, does our military still deter would be aggressors, and are we combat ready? According to Global Firepower we are currently ranked 32nd globally, in terms of military strength. This independent study of 126 countries in 2015 was based on over 50 factors, used to determine a given nation's �Power Index�. The index excluded nuclear capability. It included geographical factors and natural resource reliance. Total number of weapons available did not determine the ranking. Land locked countries were not penalized for not having a Navy, whilst naval powers were penalized for havening limited capability. Economic health played a role, but current political and military leadership did not. If this index could be proven to be infallible, the USA would beat everyone. India would defeat Israel. The Aussies would unfortunately take us out, but the Kiwis wouldn't. We would be safe from most Europeans, and Azerbaijan. And Uncle Bob from Zim still fares better than 65 other countries surveyed, including Afghanistan. I took the point as being: We have a significant Armed Force. And it was clear from the onset that Armed forces month was going to be a significant event. 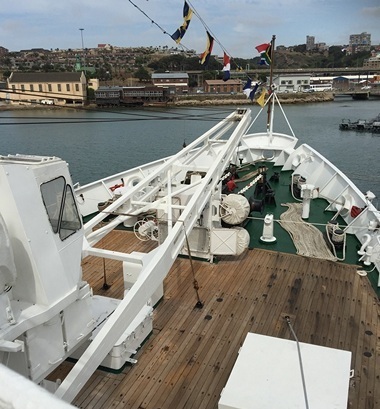 We were invited to a Media presentation aboard the SAS Drakensberg on the morning of Friday 12th Feb. We entered PE harbor briefly interrupted by a boom gate, unsearched and yet unaccredited. We parked within meters of the ship. She was an awesome sight to see. Pacing up and down the quay, Commander Greyling Van Den Berg was ensconced in his cell phone. 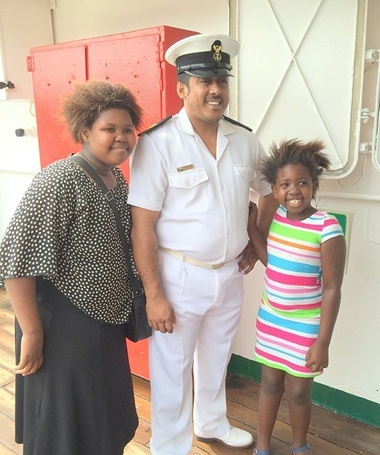 As the Officer Commanding, and Navy Spokesperson, he had a busy two weeks ahead. Shortly afterwards, he greeted welcomingly, and asked the Captain if we may board. As we walked onto the aft deck I was struck by the sight of a braai. A stock standard half drum braai, set on a stand, neatly tucked away and as clean as the ship itself. I commented to the Captain that I knew for sure I was on a South African Vessel. He laughed and assured me that it was used to boost morale when sailors were away for long periods at sea. I can't fault that. We were given a tour, of the Drakensberg's Medical facilities, Electrical management centre and the Bridge. Lt. 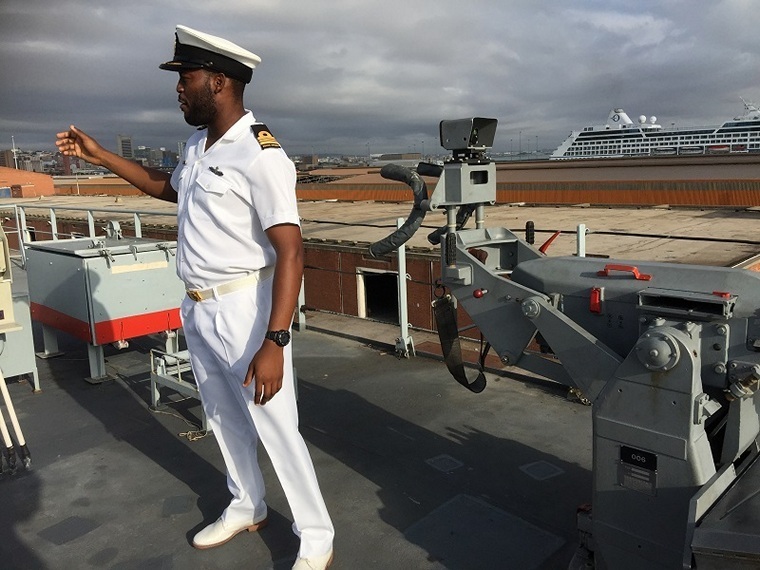 Commander Kama and Lt. Sebea were fantastic, and their professionalism and pride was representative of all the Navy personnel we encountered over the next few days. It was clear to me that our Navy's leadership sets extremely high standards, and this example filters down through the ranks to every Seaman we met. 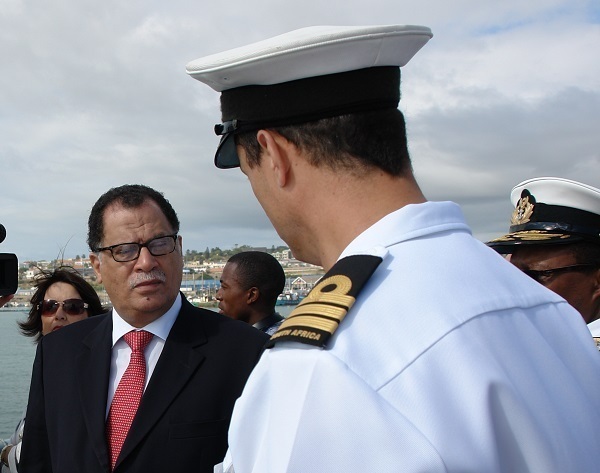 We were addressed by the Chief of the SA Navy, Vice Admiral Mosiwa Hlongwane and Executive Mayor Danny Jordaan before being given a detailed presentation of the week to come, By Commander Van Den Berg. It was to be a spectacle, the likes of which Port Elizabeth had never seen. 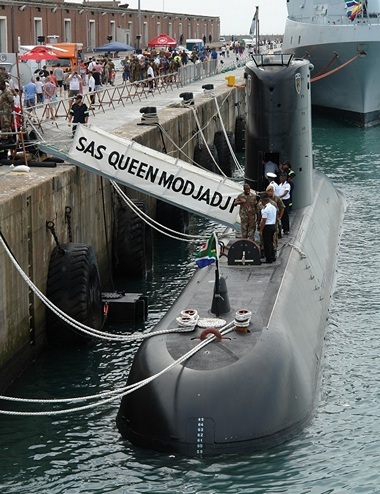 Shortly after the presentation, the SAS Queen Modjadji 1 entered the port. Commander Van Den Berg was quick to point out that her relatively small size was not to be underestimated. The type 209 has a hull length of 62m, a breadth of 7.6m and a height of 5,8m. 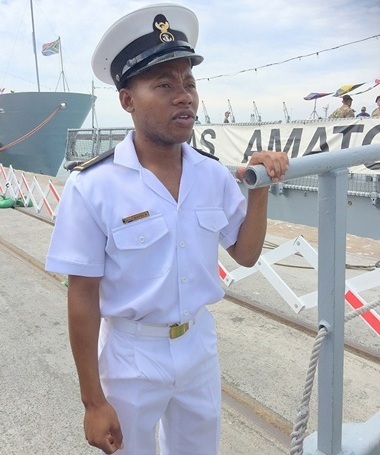 Her sister vessel, SAS Manthatisi had proven her mettle when the lone South African submarine left some Nato commanders with red faces as it �sank� all the ships of the Nato Maritime Group engaged in exercises with the South African Navy off the Cape coast in 2007. The Manthatisi not only evaded detection by a joint Nato and South African Navy search party consisting of several ships combing the search area with radar and sonar, it also �sank� all the ships taking part, twice. I left the ship wide eyed and excited about the week ahead. �I didn't know you were so interested in war�, my daughter said. And I thought about her comment. I'm not a fan of war, but it is true that war has led to the existence of some of the most incredible machines ever created by man. Yet it was not only the machines, but the whole military system which fascinated me, order, discipline, a place for everything, and everything in its place. 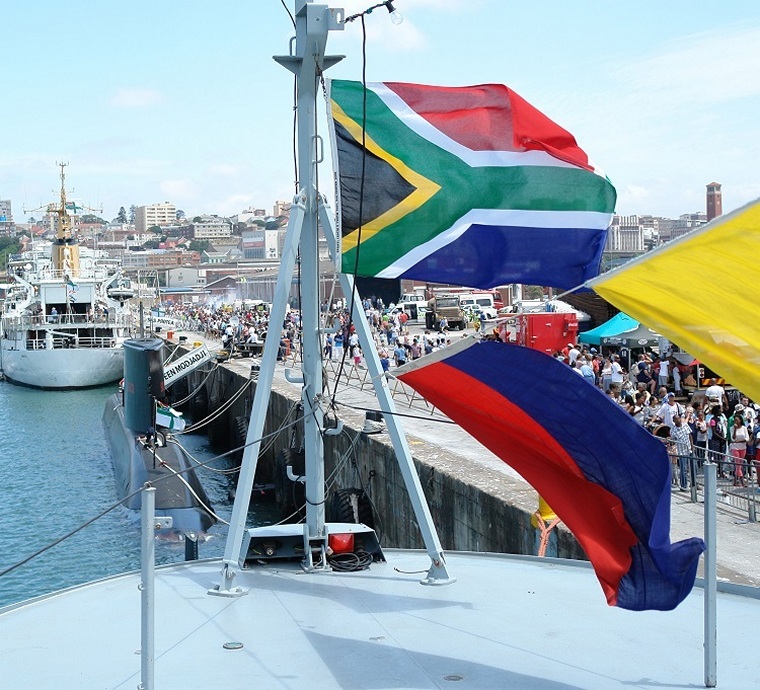 On Saturday 13th and Sunday 14th Feb the public was invited to board and view the Navy ships that were docked in PE Harbour. �	SAS Amatola	Valour class Frigate. 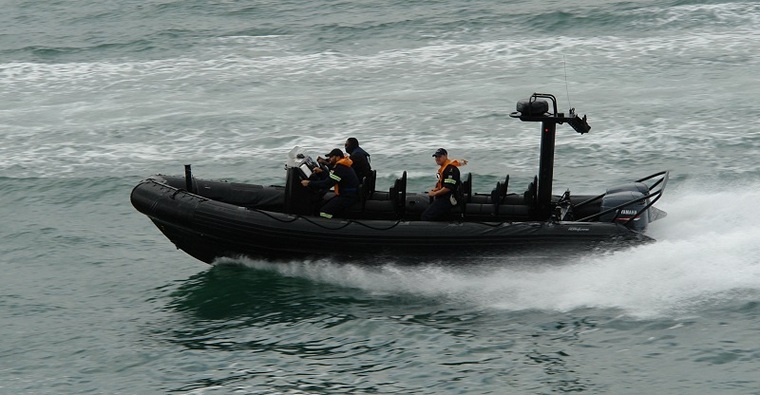 �	SAS Galeshewe	Mine counter measure vessel. �	SAS Queen Modjadji 1 Type 209 Heroine Class Submarine. �	SAS Dyobha	Offshore Patrol vessel. Representing the largest deployment of SA Navy Vessels, away from their home port, since the dawn of democracy in South Africa. 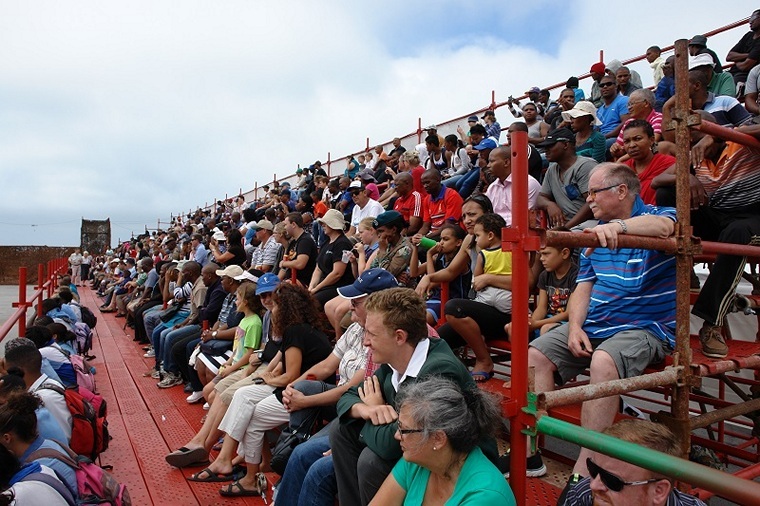 It was a sunny and hot that weekend, and the people of Nelson Mandela Bay arrived by the thousand. 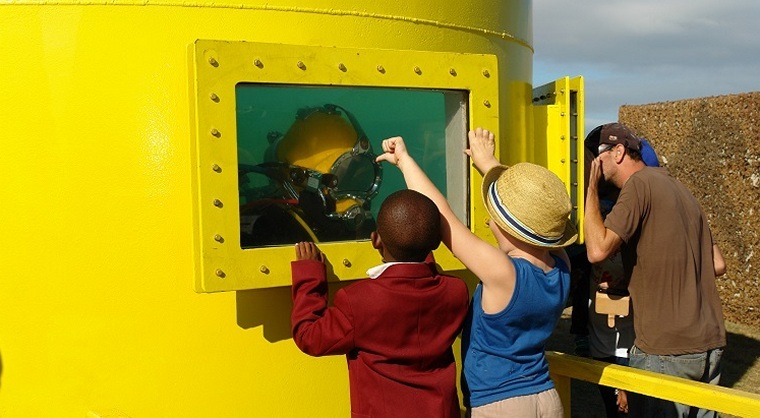 So overwhelming was the response that it soon became apparent that most would be fortunate to board and view just one of the vessels on display. I don't think there was much that could have been done about that. Men, women and children of every race queued patiently, and in good spirits. I saw only one tense moment, caused by inevitable queue jumpers, and this was quickly resolved by a Navy Captain. Initial interest focused on Queen Modjadji 1, but this queue was quickly closed due the time it would take to enter and exit the submarine. I politely explained that I wanted to photograph and report for those who could not be there, and I was graciously allowed to enter queues, close enough to be able to board. During the entire event, photography was prohibited only twice, the first being inside our submarine and the second when I tried to photograph the cockpit of a Gripen. I'm no longer a youngster, but I'm still relatively agile. I Must admit though, getting into a submarine is no walk in the park. Boarding means placing your feet on a small ledge just below the surface of the man hole sized hatch, grabbing two handles and maneuvering onto an extremely narrow ladder. Looking down I realized that it was a pretty long way to fall. Once descended, I was asked to holster my iphone, and turn off my camera. The Naval Officer spotted my media card, and as I was sent off down the corridor, he reminded me to �do the right thing�. I was tempted, but I obeyed the request. The belly of a submarine is another world altogether. I'm not claustrophobic; no one who is would last very long, its is very confined, dim and enclosed by a nest of steel pipes, valves and taps. The sleeping quarters are tiny, even when compared with the ships. In the centre of the vessel, stations of large computer consoles look ready and waiting. 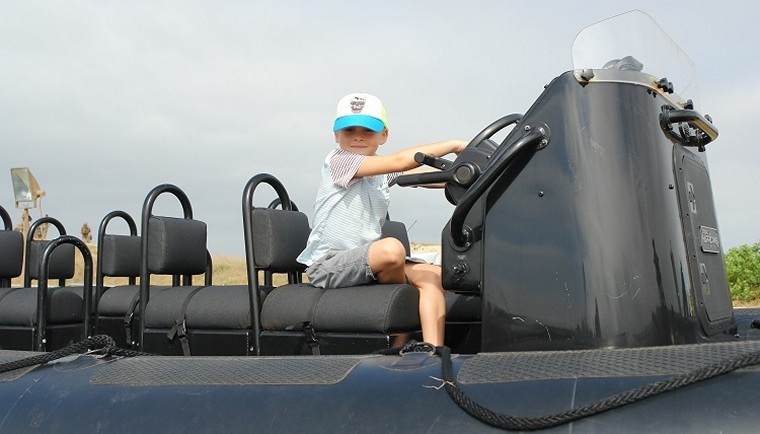 All seats are manned at all times when the boat is operational. You would think that you couldn't get lost in a sub, but I did, before being directed to the hatch at the back. An Able Seaman had to help me at the top of the ladder. 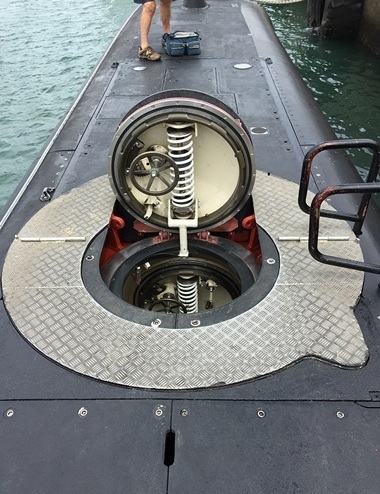 In order to get back to the front of the sub I was directed through another door on the side of the conning tower. Once again, this meant negotiating a small ledge with a rail and a gap in the middle which I could just fit through and I weigh less than 80Kg. I wondered if they were using discretion with regard to what size person could board. And speaking of personal mass, on the Drakensberg Lt. Sebea explained that sailors BMI is strictly monitored and controlled. Those who transgress are issued with a diet which is regulated by the Navy Kitchen. She joked that you might find fat people in the Navy, but not on the ships. And when asked by a female journalist about the integration of men and women aboard ship, she explained frankly, that no distinction was made. All sailors were expected to live by a code of womanly and gentlemanly conduct, which they did. The SAS Protea, or the �White lady� lives up to her name. The 4th in line of the Navy's hydrographic survey vessels of that name. 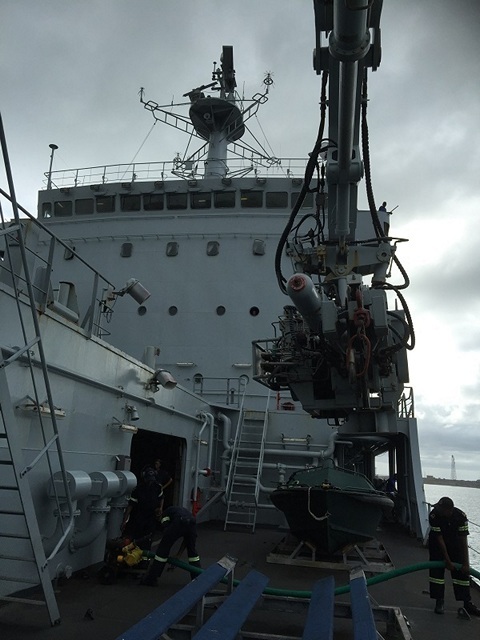 Her role, to provide hydrographic information and surveying results to the Navy and maritime community. She uses modern techniques to produce nautical charts and maps, and to collect and collate data about our coastal waters. Interestingly there is a distinct difference between a chart and a map. A chart is �live� document produced as a navigational aid, and must show clearly, all features and dangers likely to affect the safe passage of any vessel. A Map is generally the result of land surveys being represented in cartographic form to meet particular requirements. A Chart can be discarded or marked �not for navigation�, whilst a map is usually not updated unless a new edition is issued. The SAS Amatola is the first of four Valour-class frigates procured in 2002 as part of the controversial arms deal. The vessel is armed with a 76mm gun and a twin barreled 35mm Gun, as well as two 20mm cannons, eight x 4 cell Exocet anti ship missile launchers and two x 8 cell SAM missile launchers. The vessel can carry one Oryx Helicopter or two Super Lynx helicopters. She carries 92, plus 8 aircrew and 20 supernumeraries. Her steel hull and superstructure is designed for low radar signature and is divided into ten watertight compartments. What I found interesting was that the ship contains seven independent air-conditioning plants. The entire hull is pressurized at 5Mbar higher than the outside environment. This allows the ship to operate at a preset temperature and moisture level, and prevents the ingress of radioactive or chemical contamination. Every door inside the ship is fitted with a sensor, a red or green light illuminates showing whether the preceding or oncoming door has been closed properly. Ignore this at your peril, as opening one of the pressurized doors at the wrong time could cause it to knock you unconscious. A common characteristic of all the ships was their narrow steep stairs, and I wondered if they would make it through the exhibition days without someone taking a tumble. Mention must be made of another common characteristic of the Navy which drew many a comment, the uniforms. Just how it is possible to get a uniform to be so perfectly white, was enough to have people asking the question directly. It must be a military secret though, because they aren't telling. 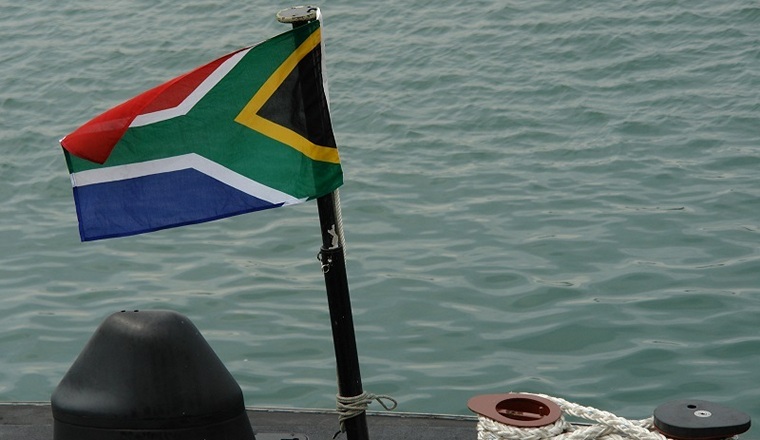 My lasting impression of the South African Navy is one of true professionalism and pride. As hosts, they should be highly commended on the way in which they presented themselves to the public. It was a truly memorable event. 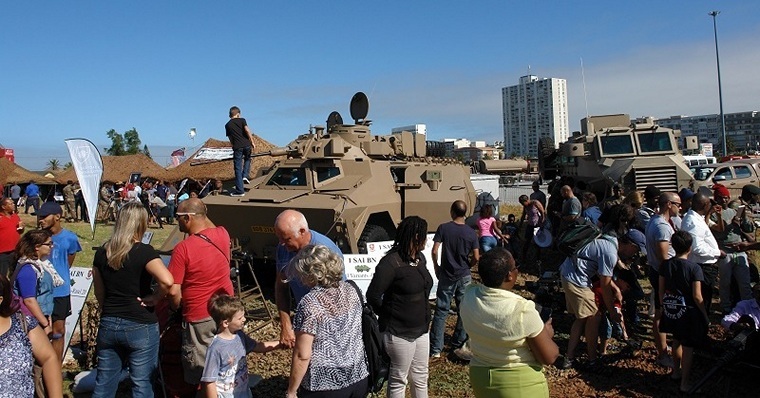 As is custom in the modern era, bigger seems to be better, and the largest exhibition of military equipment in South Africa was set up at the Kings Beach parking area, from the 17th to the 20th February. Live displays included precision drills from the Army and Navy. I didn't see these, but the videos were circulated freely across social media and never failed to impress both young and old. I did see the Military Police hostage release demonstration, and this too engaged the crowd, despite the fact that the BMI of some of the police persons would have disqualified them from the Navy. 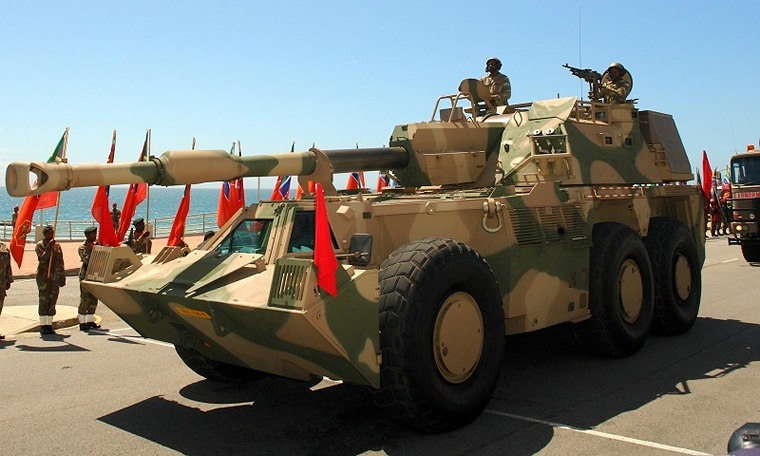 Static displays were hosted by all four divisions of the SANDF. 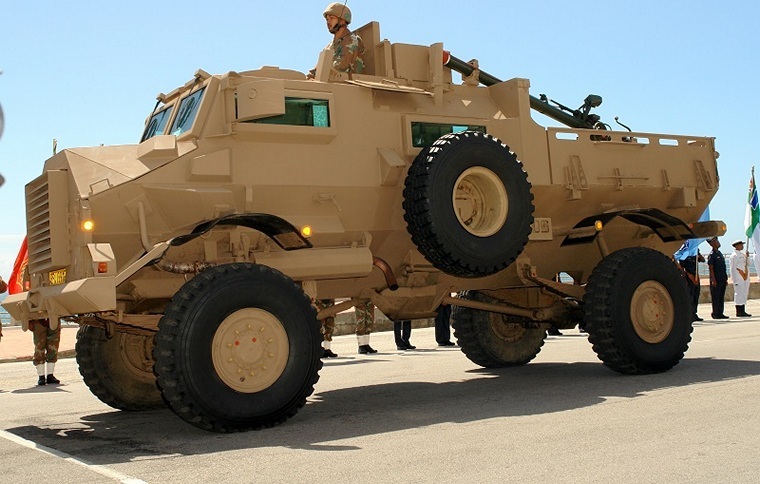 These included the Special Forces, 10 Anti Aircraft Regiment, Naval Divers and ROV's, the Army Intelligence Formation, armoured vehicles, artillery displays, coastal patrol boats, radar systems, back up support and military health. For kids it was a real treat. For once in their lives, touching, feeling and climbing were encouraged and I watched as they picked up machine guns, clambered over boats, into Ratels, and out of the Rooikat. And by kids, I'm not referring to age. I saw fathers enthusiastically trying to explain the various purposes of the equipment to sons who weren't listening. Boerie roll vendors abandoned their trade, to watch the G5 sound. And every now and again, I met another veteran of the �bush war�. Armed forces week stirred many memories and had ex conscripts deep in thought about times gone by, and unsure about what to do with that emotion. War should never be glorified. 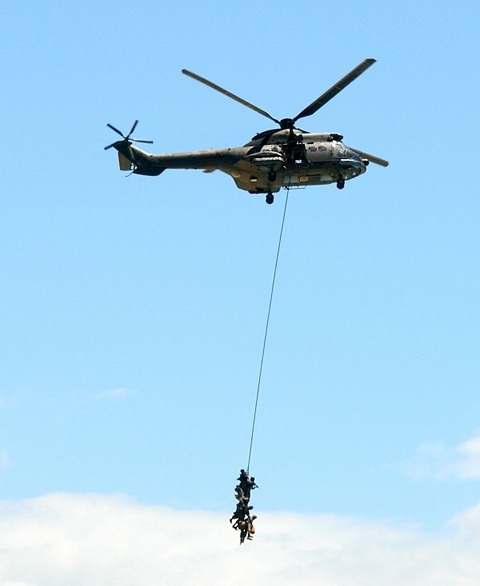 The Military Health Service is a branch of the SANDF on its own, together with the Army, Navy and Air Force. And yet they linger in the background. I think that is sad. As I entered stage one of a makeshift military operating theatre I was reminded that I am in triage, a basic system that sorts those who are likely to live, from those who are likely to die. It's a sobering thought. Increased co-operation between military and civilian establishments features prominently on many countries agendas. The trend is strengthening the ties between military and civilian society. I must commend the personnel that were deployed during Armed Forces Week for being interactive, more than willing to answer questions and share their knowledge. One of the goals of Armed Forces day is to showcase to, and recruit new members to the ranks of our Armed Forces. I have no doubt many young people will apply. We live in times of peace, and the role of the Armed Forces in such times often has a lot to do with Community Outreach Activities. Clinics, introducing sporting codes in soccer, rugby, volley ball, cricket and netball were held in Dispatch on 16th Feb. Learners; representing selected teams in each code were transported, fed and placed in competition at the Gelvandale sport centre from the 17th to the 19th February. The SANDF legacy project identified an Old Age Home, Ekuphumleni in Zwide. This facility was badly damaged by fire that cost the lives of three residents. The Department of Social Development, the Metropole and the local Business Chamber raised the funds. The SA Navy provided the labour, including 48 artisans who have restored this important facility and given much needed support to the home. 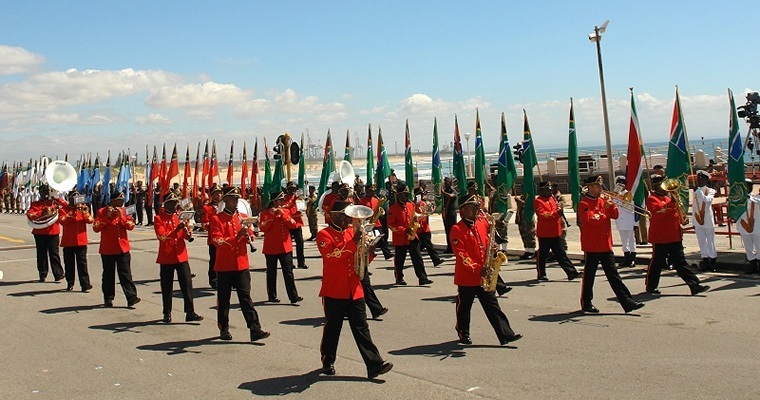 On the 15th Feb 5 SANDF bands performed concerts at different community halls across the metro. On 17th Feb a Gala concert was held at the Feather Market Hall where the bands and SANDF choirs performed for the public. Some say, that there isn't a whole lot else to do in PE on a Thursday night. 18th Feb was different, and amidst much publicity, die Baai once again turned out in thousands. Cars, bakkies and taxis jostled for every conceivable pavement, parking lot, grassy patch, and vacant plot. Anywhere, with a view of the Kings beach area. Blank rounds from the from G1 Gun and a Ratel 90. 60mm to 120mm illumination mortars, and the G5 illumination shells from shore. Live fire from the SS77 machine gun on Drakensberg. 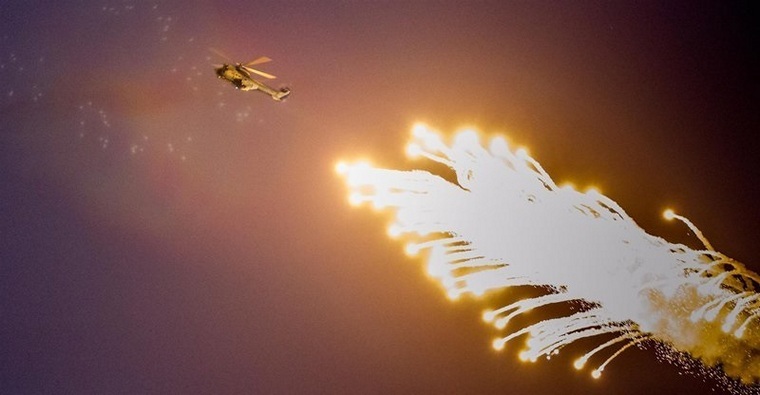 The Rooivalk, Gripen, C130, Oryx and Rooivalk deploying flares. A wall of fire created by the engineering corps on the beach. The plan was for the aircraft to start off proceedings by deploying their anti missile flares. Once finished the mortars would be fired over the ships at a distance of 4km, deploying more illuminating flares, and that the weapons onboard ship would then engage these flares. The Rooivalk deployed successfully, as did Gripen 1.But things seemed not to go exactly as planned. A small fishing vessel had sailed right into the danger area, despite an extensive restriction zone stretching 8km either side of the firing arc. How this was allowed to happen is completely beyond me. But there is no doubt that this put a spanner in the works. Especially since the SAS Drakensberg and the Rooivalk choppers were also set to fire live rounds and tracers out to sea. 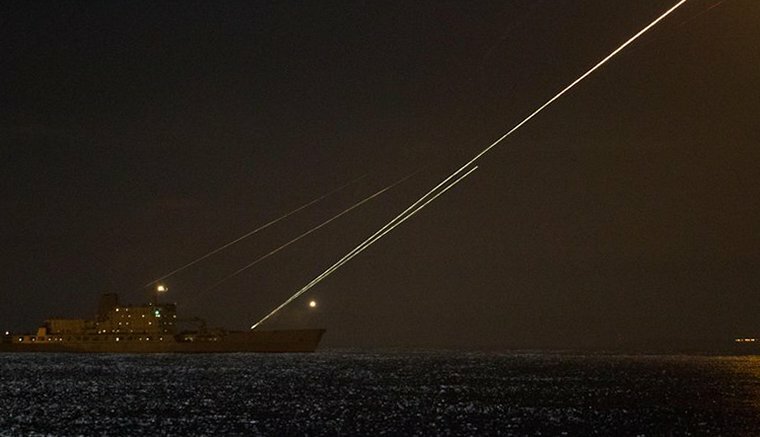 To what extent this curtailed other deployment of illumination and anti missile flares, I'm not certain. There was also a confirmed report of an individual with a laser in the Kings beach area, although it is uncertain if this had an impact on the event at all. 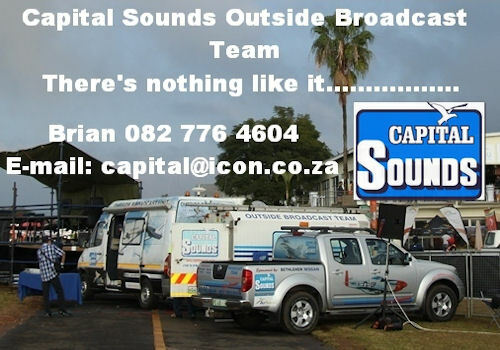 What intrigued me the following day was that colleagues of mine said they had watched the guy pointing the laser and yet no one thought it a problem until the guys at Capital Sound pointed out that it was illegal. Much more work needs to be done in educating people that shining laser lights at aircraft is seriously un-cool and completely illegal. Only the public can police this. As I saw it, the C-130 did not get airborne as expected. One of the fuel pumps malfunctioned and had to be replaced. It was flown in from Pretoria, but couldn't be fitted in time. 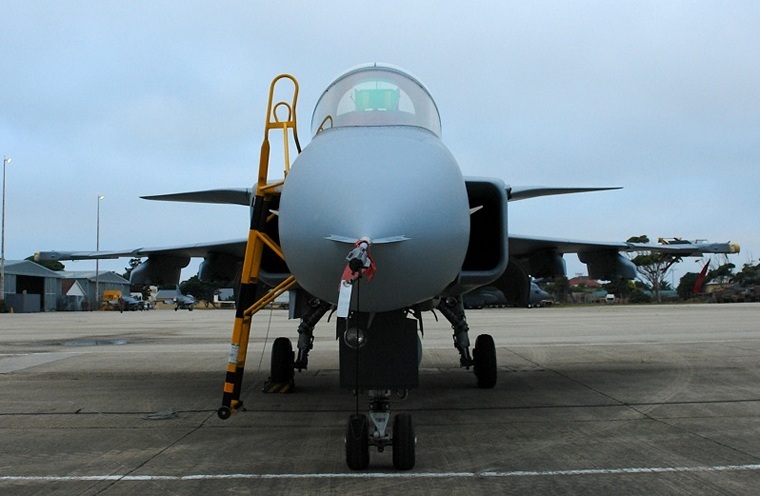 The Air Force compensated by putting a few more Gripens in the air. The night shoot drew mixed reaction on social media, but the majority was positive. I believe that in an age where Hollywood animates ever bigger a brasher special effects, it is quite conceivable that some may have developed unrealistic expectations of what they thought they would see. 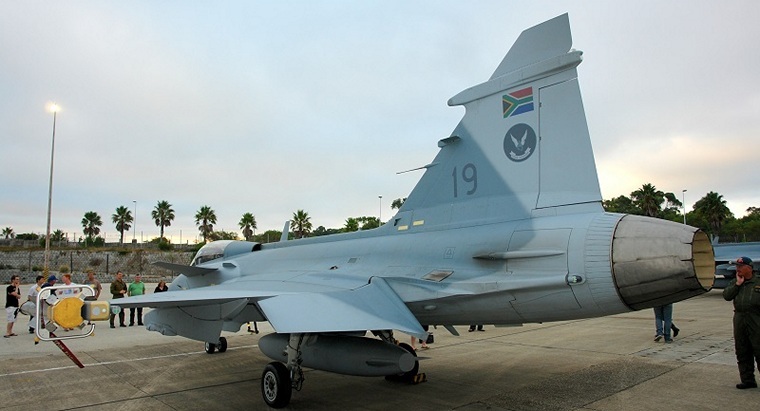 Rehearsals and road closures were the order of the week and the skies over PE were filled with a symphony of turboshaft helicopter engines and the adrenalin pumping roar of the turbofans in the Gripen and Hawk fighters. For aviators and enthusiasts it was like Christmas in February. The SAAF came to the party in a big way and were naturally going to provide the icing on the cake at most Armed Forces Week events. We were spoilt indeed. The Silver Falcons put on a spectacular performance on Armed Forces Day. Eight Atlas Oryx utility helicopters were deployed and flew throughout the week. As did the Augusta 109's, the Super Lynx MK.300's and 15 Squadron's BK117's, four of which are stationed in PE. The Super Dakotas also flew quite a bit. The presence of the two Rooivalk Mk.2 attack helicopters was a highlight for me. The C130 Hercules also clocked up some hours and although absent for the night shoot, took part in the flypast on Armed forces day, along with 5 Gripens and 5 Hawk fighters. 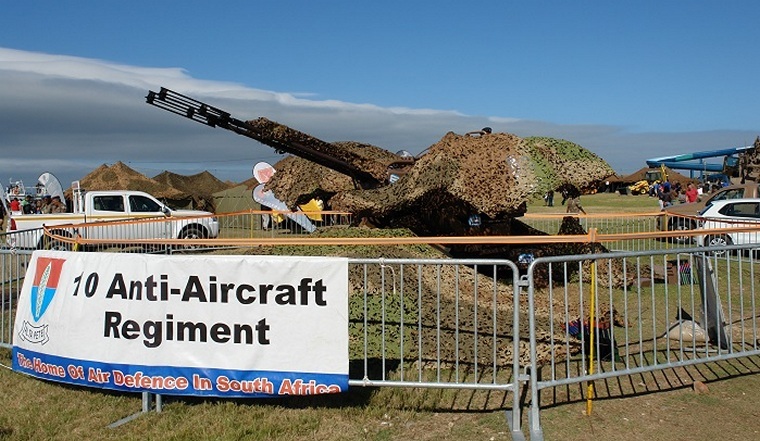 On Friday 19th Algoa Flight Club arranged an aviator's day at the Air Force base in Forrest Hill. This provided a unique opportunity for pilots and enthusiasts to get up close and personal with the helicopters and many of the aircraft that were deployed for Armed Forces Day. 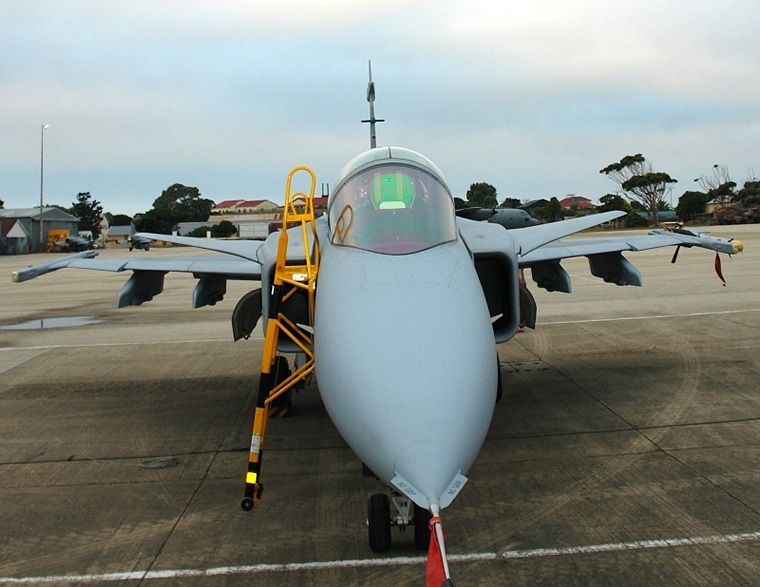 I would never have believed that in my lifetime, I would have the opportunity to touch a Rooivalk, let alone a Gripen. There is something very surreal about being around these aircraft. The Rooivalk is a beast of a machine. It was connected to its electrical backup system like an umbilical cord. Even when still on the ground it seemed alive. 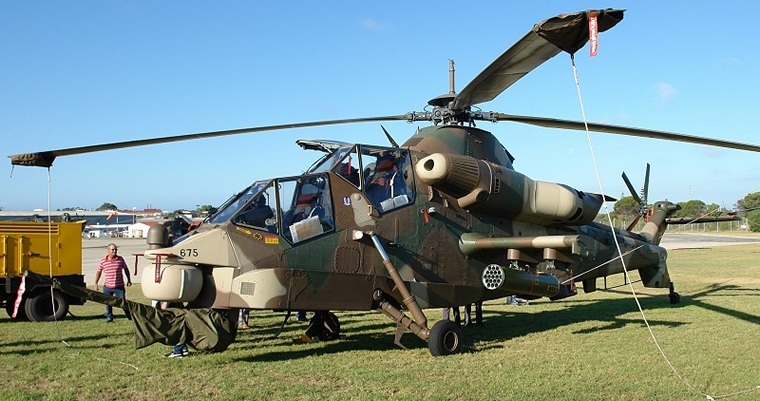 Before armed forces week all I knew was that the Rooivalk was right up there with the best attack helicopters in the world including the Apache. But I had no idea what it would feel like to be in the presence of one. The setting was perfect. The sun was setting and most of the spectators were making their way back to the pub. Eventually I was left alone with this magnificent aircraft, hideously ugly, frighteningly menacing, and yet bewitchingly beautiful at the same time. Eventually all of the incoming aircraft were on the ground, the last being a C208. I could have spent an hour with the Cessna. 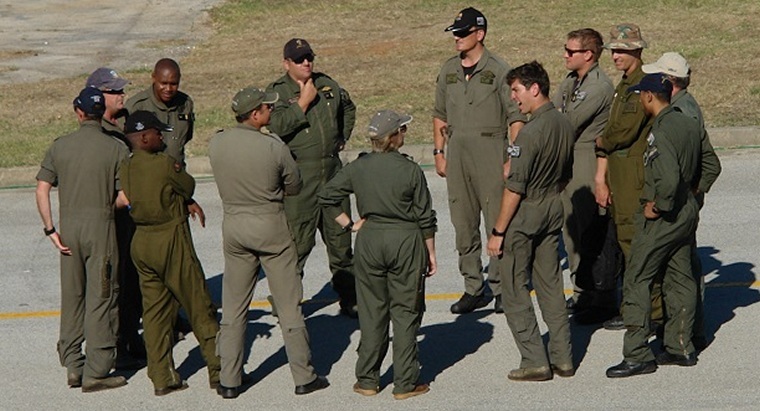 But we were finally allowed to approach the stars of the SAAF show, the Hawks and the Gripens. The lines on these fighter jets are poetry in motion. They have to be since reaching Mk2 all in a day's work. Major Logie, otherwise known as �Prowler� watched over his pride and joy like a young father, especially when I tried to take a photo of the cockpit. As young as he may have seemed to a middle aged man like me, it was very evident, that the multi million Rand training he has received from the Air Force, had produced a Top Gun that we can be proud of. He spoke of flying the Gripen like she was a RV. Fast, and beautiful to fly. There was a 16 year old girl present too. My Wingman's daughter. The aviation bug has already bitten her and she was completely agog at the sight of these jets in the setting sun. 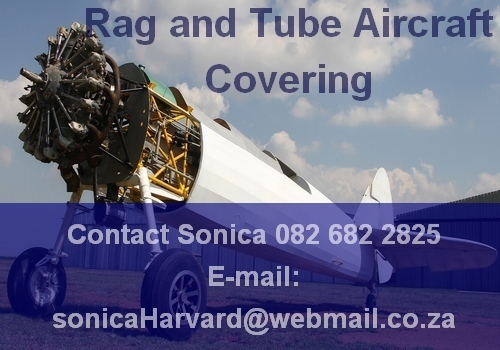 Major Logie, was a great source of information, on how to aim for her dream to fly for the SAAF on day too. And to top it all, the squadron leader is an Eastern Cape boy. The Air Force, like their Navy counterparts, made considerable effort to make us civies feel welcome. They really made themselves available to chat and answer questions. I know this was appreciated. Armed Forces Day culminated in the main parade on Sunday 21st Feb, the official Armed Forces Day. The weather played along and the event took place on a very hot day under bright blue skies. The parade consisted of three parts. Firstly the National Ceremonial Guard marched, bearing their flags, to the podium which was situated directly beneath Brookes on the Bay. This centre and its restaurants were closed to the public on the day. Next was the arrival of the Commander-in-Chief of the SANDF, President Jacob Zuma. The president took a thundering 21 gun salute, before conferring medals and addressing the invited guests, participants and media. The general public was kept some distance away from the main ceremony, but again turned up in numbers, to witness the procession, and the capability display which followed. He went on to speak about the objectives of the defence force, their role in protecting and defending the sovereignty of the Republic. He didn't say against whom. We are passionate about peace, said Zuma, and this is why we participate in peace keeping missions, as mandated by the African Union and the United Nations. The newly completed defence review, which is now ready for implementation speaks to a modern defence force, with a modern soldier and maps out the direction the defence force will be taking for the next 30 years. Military matters involve a lot of big numbers, from which the president was fortunately spared. 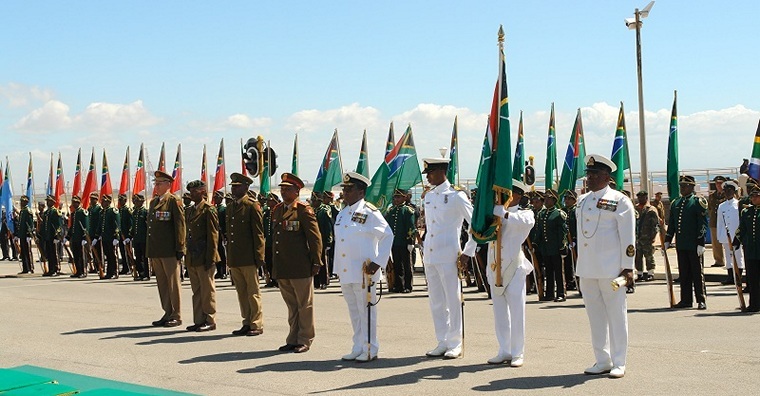 A Flag Ceremony followed, with another 17 gun salute in honour of the flag of the SANDF which was handed back by the Navy, to the Army, for safe keeping. After the National Anthem, the second part of the parade involved a march past of regiments from the Army, Navy and Air Force, each preceded by their marching bands. 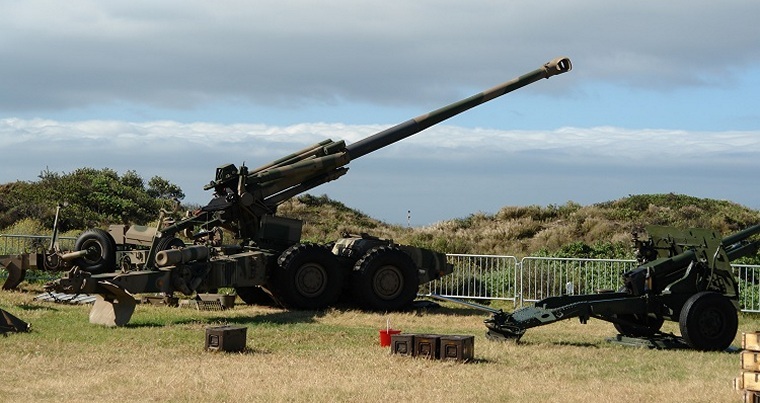 Some 800 soldiers, airmen and sailors took part in the event which went off without a hitch. And these folk are tough, it was extremely hot and yet not one flag bearing soldier fell, for the entire duration of the parade. In the third and final part, the march was followed by a convoy of about 80 military vehicles and boats. 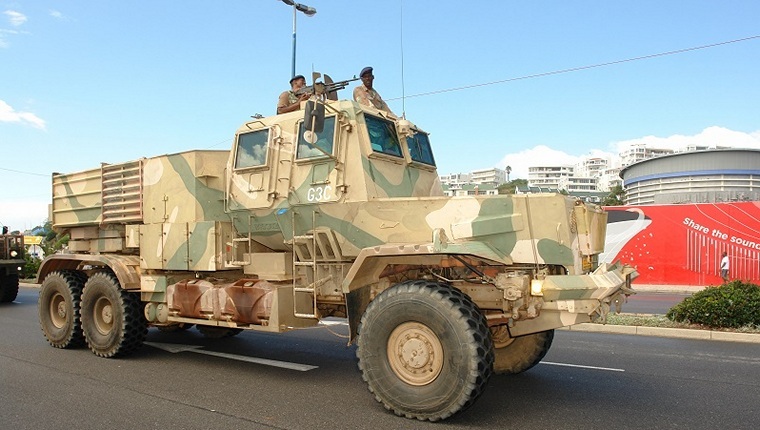 Beach road was soon awash with smell of diesel as the turbo charged engines in the Rooikat, Ratel, Samil, Mamba's and Mfezi growled past the podium in salute of their Commander in chief. I couldn't help but think that he cut a lonely figure. Absent, emotionless and unengaged. He was whisked away straight after the parade passed, and South Africa 1, took off later that afternoon. Parachutists dropped by the C130 overhead. This was followed by a joint airborne and sea-landed rescue operation. Residents of the flats in Humewood were spectacle to a sight they won't see again in a hurry with Oryx helicopters hovering in direct sight, dropping armed forces onto the roof tops of buildings in front of them, as the Rooivalk hovered nearby in ever tightening circles, and the Hawk and Gripen flying sorties overhead. Zodiac patrol boats dropped Special Forces into the breaking waves, and navy troop carriers descended on Kings beach in a mock invasion, accompanied by several detonations on the beach itself. 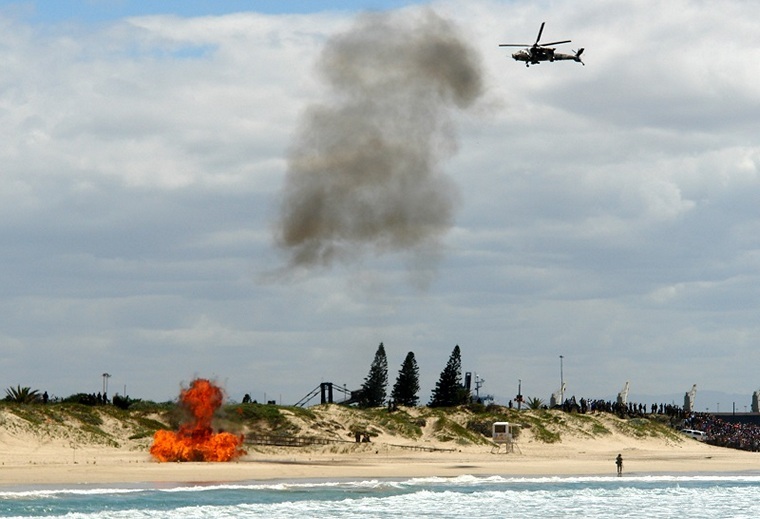 Two Oryx helicopters also joined in the deployment of forces onto the beach itself. Finally, a formation of 5 Oryx, a Rooivalk, A BK117 and an Augusta made their way over the crowd and back to base. The thousands who made their way down to Kings beach were not disappointed. Overall, Armed forces Week was a resounding and I believe that most, if not all of the objectives were met. This article has concentrated on the positive, unashamedly so. Was everyone positive? Of course not. Many of the old school couldn't wait to lament about what they perceive to be a military that has degenerated into a shadow of its former self. 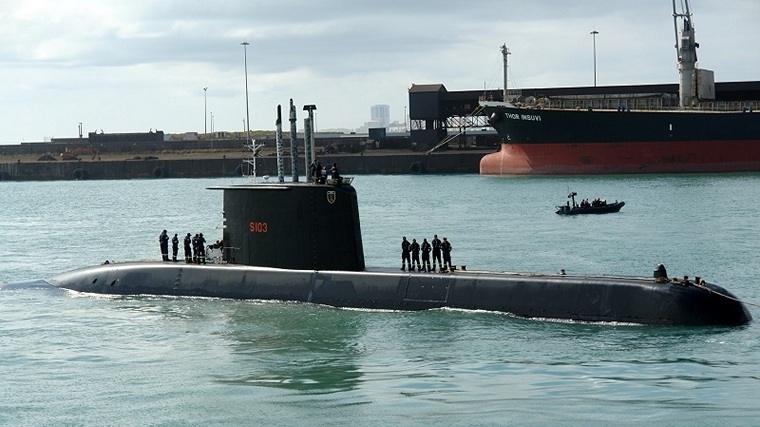 Over their brandy and cokes they ranted on about how soldiers cant march anymore, the equipment is obviously broken, the submarine has sunk again, this time in PE. God help us they wailed pathetically, if we get invaded by Madagascar! Most I asked admitted they had not been to any of the events, and I left them to their misery. The only concession that I will give them is that some of the Army folk do appear a tad out of shape. In the aviation fraternity there is also many negative commentators, especially on forums, where it is all too easy to preach from an anonymous soap box, and hide behind an avatar. They call themselves realists, but the reality is, if you gave them a donut, all they would see is the hole. And then there is the issue of cost. There is no doubt that an exercise of this magnitude costs an enormous amount of money. There is also no getting away from the fact that South Africa is faced with huge economic challenges, not least of which is stemming the tide of corruption and ensuring that money is directed to where it is so urgently needed, in education, healthcare and social upliftment. Does this mean that investment in maintaining our Defence Force should be sacrificed? I don't think so. Does it make Armed Forces Day irrelevant? I don't think so either. 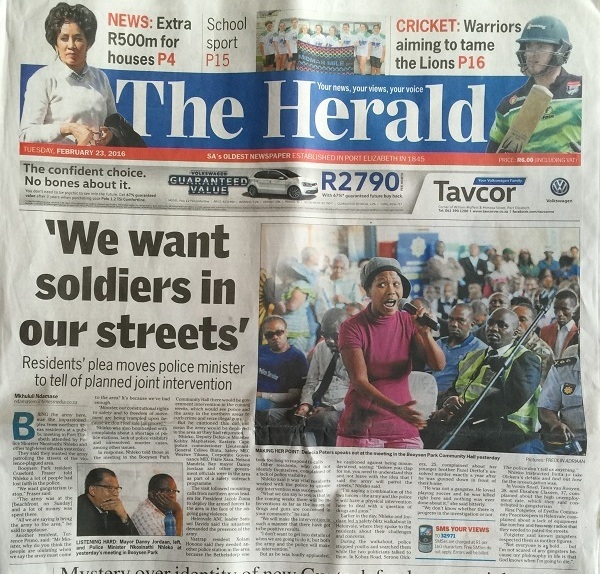 As for the comments that Armed Forces day was held in Nelson Mandela Bay because it is a local government election year and that this is set to be a hotly contested metro. Well they just don't stack up. Armed Forces day is not something that was invented in 2016. (Planning started well before that). The Army and Air Force has already had their turn and the Navy chose P.E. Also, it's not conceivable, that an Armed Forces day can be thrown together like a month end conference. Was it a convenient coincidence? Maybe. But the reality has little to do with party politics. Once a year, our armed forces get to participate together, and showcase to the nation, especially the new school what they have managed to maintain despite their own challenges. I didn't see a broken defence force, with broken equipment and shoddy personnel. What I did see, especially in the Navy and Air Force, was a lot of pride, a lot of discipline and a lot of honour. As for the public's reaction, It seems to me they don't want less of the military in our everyday lives, they want more. 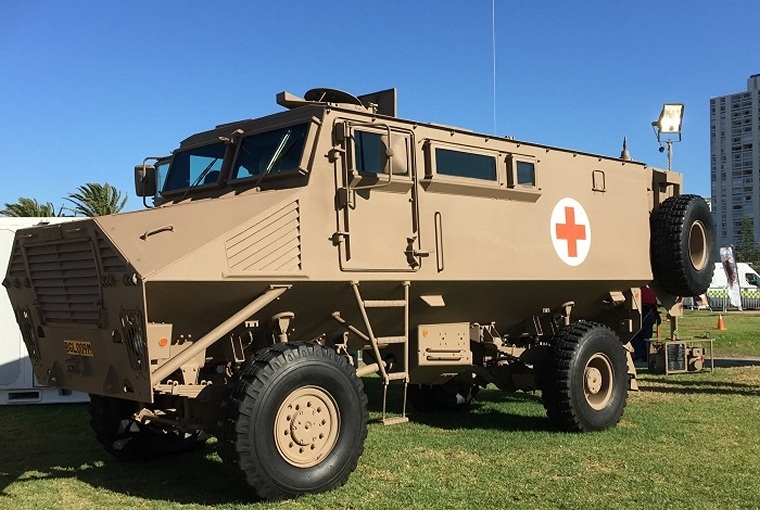 It is perhaps the greatest challenge of the SANDF is to find a new kind of relevance to society in times of peace, with the limited resources at their disposal. I hope the newly completed defence review speaks extensively to that. Congratulations to the people of Nelson Mandela Bay. You turned up for the party in hordes, and were gracious hosts to our Armed Forces. As always, comments about the friendliness of the people in our city where plentiful. As one of the Army historians put it, �People in PE are so relaxed and friendly. It's like they just wake up and decide to be nice. You don't even hoot at each other.� Such was the atmosphere that a decision was taken early on, that the Military Police would travel about the city without the use of sirens. I thought that was a nice touch. The skies are relatively quiet over PE again and the roads are quieter. But I am sure though that I speak for the majority here when I say to our Armed Forces, thank you and God Speed.